Avail the quality services of the experienced contractors in Delhi. Browse the profile of background verified contractors by checking out their previous project and customer reviews before fixing an appointment. Get an estimate quotation within the 24 hours of your inquiry. With a working experience of a minimum of 2 years, we assure you the use of quality product material. UrbanClap provides reliable contractors with a promise of on-time project delivery for a preferred budget set. Good quality and economical service provided by Mr Raisuddin. Got our staircase and main entrance reconstructed by him. The Design and the execution was neat and marvellous.All the workers seemed decent and there was never any mess for me to complain about.The work was divided and organized properly. I hired Qasim for a paint job that needed to be done. The budget of the whole project was around 70000 and it was money well spent. Totally satisfied with the services and would recommend him for every interior works. Good Job Qasim. I had to complete my whole interior and that is why hired him for the residential project. The budget of the project was 4.5 lakhs and his work is meeting my expectations. His staff is very efficient and polite and he himself take very keen interest in every need. I am satisfied with the work done by him and I will recommend him. Rajinder and his team did the full glass work at my office few months back. He completed the project in 4 months as expected in a budget of 15 lacs. It was my new new with work to be done from scratch. It was challenging for him also because my office was too far from his place but the labor was always on time and gave me no reason to complain. He changed and fitted all the glasses of my building at the time of new construction in a budget of 2.5 lacs. He was simply amazing with each part of it including windows and doors. He is an amazing listener, works on ideas and actually gives good ideas. I would recommend him highly. I am into construction of factories and took services of Mr. Sameem for the same. There were some areas which required to be constructed from ground level and some areas which required maintenance. All the workers of Mr. Sameem worked well and everything was done properly, as per government regulations. Sameem was in regular touch with me, his behavior was very nice and I faced no hassles anywhere. I was completely satisfied with the final outcome in all aspects and it was approved from everywhere. They completed the work 15 days before time so I had a great experience and with them. I was out of country so I had authorized him completely in all regards and had also handed over my chequebook and other papers to him only. Overall I can just say that his behaviour, engineers, labourers, and his money dealings have all been very good and I have never had any problem with him, whatsoever. We had hired Evelyn construction last year for the complete new construction of our residential property. Once we were final on our design they handled the entire project from start to finish. The use of space has been quite helpful as each bedroom as well as common area is spacious and well lit. The workers were decent and handled without creating an unnecessary loss of time. I got my house renovated by Evelyn Constructions. Excellent job done by Mr Rajneesh and his team. I am highly satisfied and highly recommend it to other customers. The renovation work at my home in Kamlesh Nagar was done by her team. We wanted the work to be done quickly as it was a wedding home and she helped us a lot in fulfilling that. She asked us 15L for all the work and my husband negotiated the price till 9L which was the best thing about her.Also she helped us in getting the work complete in 6 days only. Will definitely hire her again. She did the renovation work at my home in Uttam Nagar. The work included the renovation of 2 rooms and modular kitchen. The budget of that work was around 6.5-7L and it was reasonable according to the work and material. She have good knowledge about the work. We will definitely hire her again. I am a dentist and I got my Dental Clinic done by Arch-Interio. They are among the most elite Home and Office builders in Delhi. They took care of every little thing that had to be done for building a dental office, specially the complex plumbing work. I really appreciate the effort and time put by you guys on the interior designing as well. I love it when my patients say to me that the clinic takes away the phobia feeling. I would recommend Arch-Interio to anyone wanting Superb Quality and Spectacular House/ Office..
Re-Design It works on all my projects. I am an architect and they work for me to design interiors on all the projects of mine. They are with me from past 8-9 years and completes all my projects on time.He is very sincere and very serious towards his work. He completes his work on time. I give him my drawings because I am an architect,I draw my own design, and then he works on that given project. he uses modern techniques and innovative ideas for designing interiors.I always prefer him only, to work on all my projects and upcoming projects.He is very sincere and I will recommend him to other people as well. I referred to Re-Design It for interior work. They completed my project on time and execution of the entire project was done very smoothly without us to keep an eye on everything. The team was professional, and I am glad about results. Happy with this experience. We have got our work completed by Mohammad sabir the work is satisfactory and i appreciate the punctuality. I got painting and polishing done by Shafaqquat Ali for my bungalow. He also did false ceiling and furniture selection for me. The painting and contrasting are done exceptionally well. The cupboards are done in a unique way. The entire project was done within time. His entire team is very experienced and honest and I am very satisfied with their work. The team consists of really hard working work force who is intended to work passionately for client satisfaction. It was right decision to handover the project to them. Good service, work was finished on time and quality was as expected. Highly recommended. I am completly satisfied with their work. Resonable rate . If you have a residential or a commercial property that needs to be built from scratch, remodelled completely or selectively or you need a design plan, you need professional expertise to do it right. A general contractor manages, coordinates and completes a project. They ensure that the project is completed on time and falls under the budget set. They also hire subcontractors needed to complete the job and help you with appropriate licenses for construction or reconstruction of residential or commercial properties. The charges to build a house depend on a lot of factors such as the area of the house, number of rooms, the customisation you want in your house etc. Contractors usually take some money in advance to procure the materials needed to build the house. You can have a detailed discussion with the suggested contractor and work out a budget. Commercial properties vary with regards to the industry you need one for. A restaurant will have a completely different scope of project than an office space. The price of commercial properties also depends on the area of the space, the rooms and fixtures you need, customisation, licenses that are needed etc. You can pick a contractor from a nearby or any other area as well. General suggestion is to go for a contractor who is extremely familiar with the area you want the property in. Since they understand the area and the things available around it, it saves a lot of time and money. If you have ideas of your own, you can always share it with the contractor. The verified professionals on UrbanClap are open to your ideas and understand the need to implement them to give you the desired space. We certainly can. Once you log on to the app and select the service, you are given an option to only go for design/planning. The options that are available to you are 3D designs, floor plans and working plans and you can select accordingly. Each home or commercial property is unique. The time taken for your project depends on a number of aspects such as the number of floors, the number of rooms, the customised ideas, procuring labour and materials for the job at hand etc. Generally building a property takes about 9-11 months on an average. Yes, if the changes fit within the scope of the project. The contractor may also give you a modified quotation basis the change you want. All necessary permits are always on your name (or the property owner’s name). Contractors help you get the permits by connecting you the right people and ensuring that the terms of the permits are not violated so the process becomes easy. Remodelling of the entire house requires shutting electrical supplies so that there is no mishap. In such cases it would be convenient to move during the process of remodelling. If a part of your house is being remodelled, moving will not be necessary depending on the area that is being remodelled. Yes, clean up is a part of executing the project. 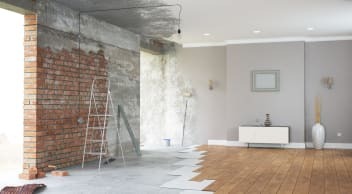 Contractors hire appropriate subcontractors who help clean up the debris and the dust and make the property ready to move into. The contractors on UrbanClap are verified and a thorough background check is conducted on them. The questions (while booking the service) are designed to give you options that best fit your need. Whenever you select a contractor always check their references and the past work before closing the deal.If you face any problem, do give us a call and let us know the problem. No, UrbanClap does not charge a service fee from you to connect you to a contractor. All payments are directly decided and made to the contractor by you. We all know that real estate is a huge investment, and the process of getting a building constructed or renovated can leave you stressed and with little time for other things. This is where a reliable and reputed building contractor comes in handy. Both house renovation contractors in Delhi as well as construction contractors in Delhi are like project managers who handle the day-to-day oversight of a construction or renovation site, manage vendors and subcontractors, and coordinate with architects, interior designers and the client, to ensure that a building is constructed or renovated on time and in the most cost-effective manner. Assess the project at hand Building contractors in Delhi evaluate the documents and drawings created by the architect, and visit the site of work to analyse the scope of the project. This determines the price the building construction contractors are likely to quote, whether they are ready to take up the project, the step-by-step timeline and plan they will follow, etc. Establish a budget After taking into consideration house construction costs in Delhi, including labour costs, material costs, and other such prices, contractors fix a budget, which is further discussed with the clients and may or may not be negotiable. The final budget allows the contractor to carry out the work in the most cost-efficient manner. Hire and coordinate with subcontractors and suppliers The best contractors in Delhi either have a team of subcontractors in place or they hire vendors and suppliers on a project-to-project basis for specialised tasks. These may include woodwork, waterproofing, painting, plumbing, civil work, false ceiling construction, etc. 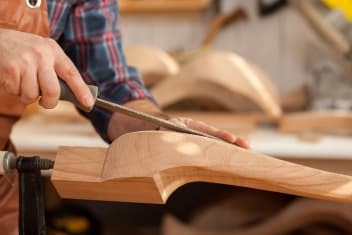 Source materials and supplies Contractors in Delhi for construction find reputed suppliers and vendors to source quality materials for house construction and renovation projects. They find the best deals for their clients to stay within the budget fixed. They negotiate with multiple suppliers to find best quality materials at affordable prices and also ensure that the materials are delivered on time. Apply for necessary permits From building licenses to local municipal permits, civil contractors in Delhi acquire all necessary licenses from the concerned authorities to begin and carry out a building or renovation project. Supervise projects and ensure quality and safety Home renovation contractors in Delhi constantly review the progress of the project, make changes when deemed necessary, guide the team whenever and wherever required, solve any issues that may crop up and keep the client updated. Complete project within deadlines Construction contractors in Delhi ensure timely execution of the project in such a way that everything is done according to the client’s expectations, and all construction and renovation guidelines are met. 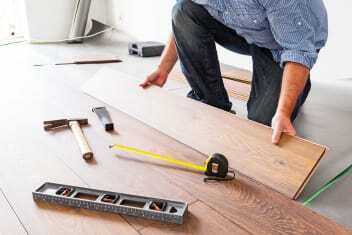 Why Do I Need a Contractor? To save time Since construction contractors in Delhi handle everything on-site, from material procurement to managing subcontractors, they ensure that the project sticks to its schedule. They also promptly handle setbacks of any kind, thus preventing any big delays. Without a construction contractor in Delhi, you would have to coordinate everything by yourself, thus wasting a lot of precious personal and professional time. 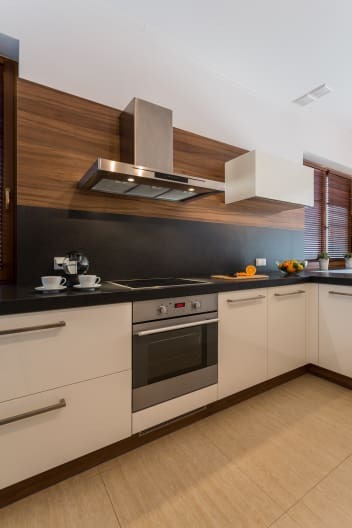 To save costs A good residential contractor in Delhi will not only know where to find quality materials at affordable rates, but can also procure them in bulk, which will further reduce rates. Additionally, since contractors know their work well, they can avoid unnecessary costs which may be a result of a shoddy job. For technical expertise The top civil contractors in Delhi have ample knowledge and experience to help transform your ideas into an amazing structure. Not only do they have plenty of inputs to offer but they are also open to your feedback and ideas. To connect with the right people Since contractors are in a long-time business, they would have networked with many people in the construction industry at different times. Thus, they have many contacts, would know who to turn to for what work, where to source the best materials from, etc. As clients, we rarely have this kind of networking skill. To ensure accountability It can be quite chaotic to handle the multitude of people involved in the construction or renovation of your building, especially with shortage of time. But when you hire a building construction company in Delhi, you ensure a single point of accountability and someone who ensures a smooth and stress-free experience for you. To solve problems Due to their expertise and the knowledge gained by working on multiple projects, civil construction contractors in Delhi know how to fix any issue that may arise — whether with worker management, adherence to deadlines, etc. They are the go-to source for everything construction. But How Are Contractors Different from Architects? While both contractors and architects are responsible for the planning and construction of a building, there are certain differences that set them apart. Expertise While architects need to have relevant degrees and educational qualifications to be able to practise, contractors don’t need any such qualification in India to offer their services (though some do have relevant licenses). However, contractors gain a lot of expertise and competency through their immense experience, working on-ground, managing different tradesmen and professional, and by just being very hands-on. Scope of work Architects are basically the artists who create the design of the building after consulting the clients and understanding their vision. Contractors, on the other hand, follow the architect’s plan and actually execute the project according to the architect’s drawings. Availability Architects don’t require to be on-site on a daily basis and can coordinate the project from their office. Contractors are responsible for the entire building crew of plumbers, carpenters, builders, masons, etc. and need to review the progress of the project by being at the site of work every day. What Services Do Contractors at UrbanClap Provide? Experienced professionals All our contractors in Delhi have a minimum experience of 2 years across various residential and commercial renovation and construction projects. Not only that, they have at least 20 completed and quality projects in their kitty. Verified backgrounds Our quality screening process ensures that every construction contractor in Delhi on our platform has been vetted for credibility, and his or her national identity, address and criminal background has been verified by the top verification agencies in India. Cross-checked references References for each contractor on our platform have been carefully examined for authenticity, making our professionals reliable. Affordability When you place a request at UrbanClap and state your budget, only those contractors in Delhi contact you who can deliver the services you require in the mentioned budget. You can compare each one’s fees and work quality and make a decision accordingly. Range of services Whether you want just wall panelling, electrical work, construction of a false ceiling, waterproofing or complete interior execution, our top contractors in Delhi can provide a range of services. Cooperation and adaptability Our contractors in Delhi are open to working around your availability and ensure a smooth experience with as few inconveniences as possible. They are open to feedback and inputs as well.